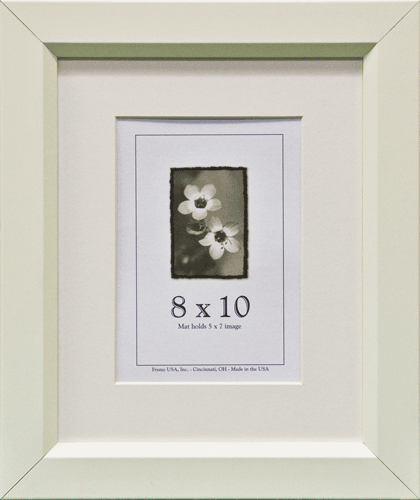 Many people feel picture framing is an intricate and time consuming task. We want you to know that it doesn’t always have to be! 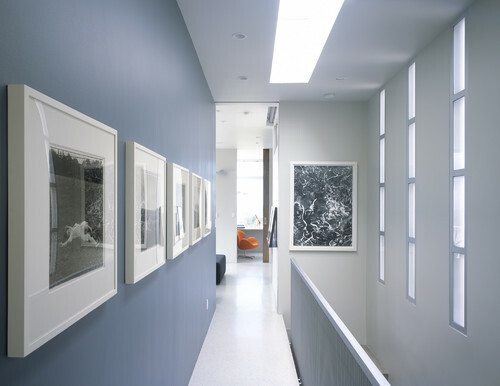 We know often times the endless amounts of matting, framing, and glass options, picture framing can be overwhelming. Based on the outcome you’re looking for though, there a few tips and tricks you can follow to make picture framing easier. 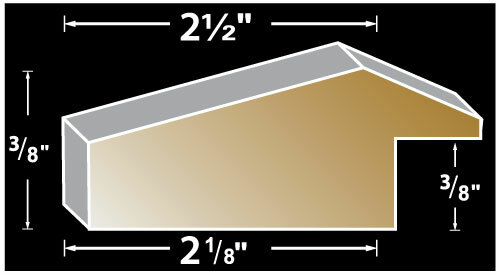 The picture frame should complement the image it is housing as well as the space where it’s hung. 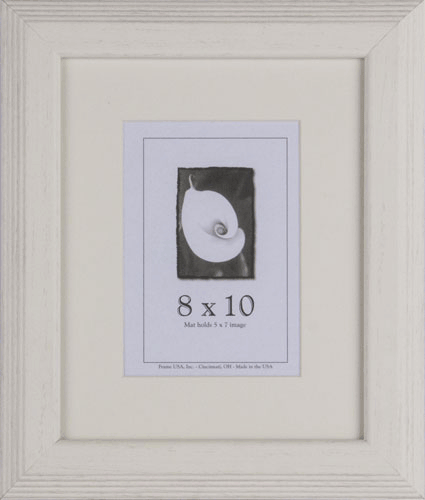 If you’re hanging artwork in a modern looking room then you’d want to avoid using an oddly shaped frame. On the other spectrum, if the room has a more classic feel, then the best advice would be to stay away from shiny, polished metal or modern looking picture frames. 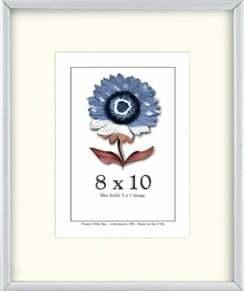 Color picture frames can be instrumental in bringing your artwork to life. Choosing a white picture frame or a gold picture frame is a guaranteed way to make your art pop, you just have to be mindful not to select a frame that clashes with what’s being hung. The type of picture frame you opt for is just as important as your color selection. 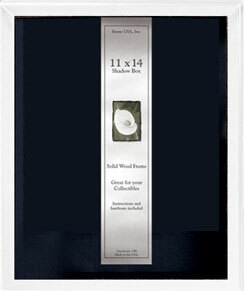 Wood picture frames are the most popular and traditional frames due to their versatility. Wood can be stained in a variety of colors and already come in various themes such as the rustic wood frames or the driftwood picture frames. On the other end of the spectrum, metal picture frames are more practical based on their material and tend to last a lot longer. 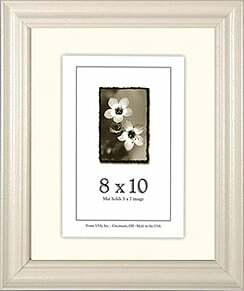 Frames ideally should be hung at eye level, not too high and not too low, about 60 inches (or 5 feet) above the ground. When hanging a picture above a table you want to leave 4-8 inches of space between the bottom of the picture frame and the top of the table. If you’re hanging a picture frame above a couch or other piece of furniture there should be a 3-6 inch space between the furniture and the picture frame. Try to avoid hanging your artwork in direct sunlight. The purpose of framing art is to make it look nice and protect it, sunlight and moisture are detrimental to this. Place your framing wire as close to the top of the picture frame as you can. Doing this helps keep your picture flat against the wall by raising the pictures center of gravity. 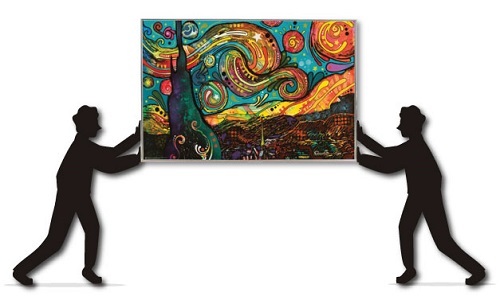 When choosing a mat for your artwork, the basic principle is that the mat should be lighter than the artwork or picture but darker than the wall. The mat is there to provide visual space between your picture, the frame and the wall. People often make the mistake of getting too fancy when choosing a mat which in turn takes away from the artwork. Put these tips into action when framing your next picture and find out how easy picture framing really is. If you have any questions, we over here at Frame USA would be more than happy to assist you. Good luck on your next project. 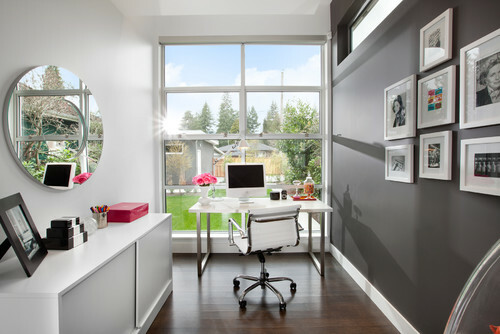 Summer is a time to lighten up your interior design; a time to give your rooms an airy, breezy feel. You can use paint color choices and furniture accessories like throw pillows and table runners to accomplish this. 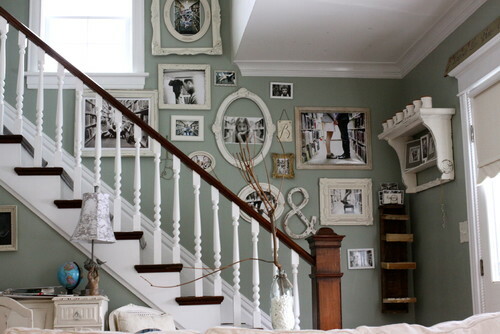 You can also use picture frames to give your design that beach-house feel. You can always use colorful picture frames to achieve a warm, festive feel, but sometimes that can go a bit too “kid’s room”. 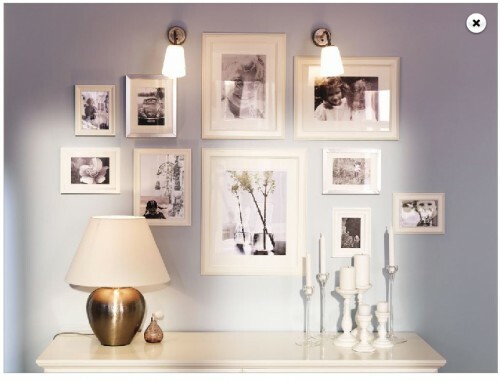 The perfect solution for lightening up your decor is using white picture frames. 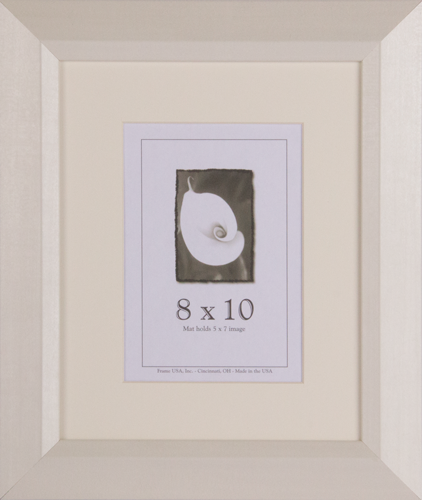 A white frame can be elegant and modern, clean and mature. 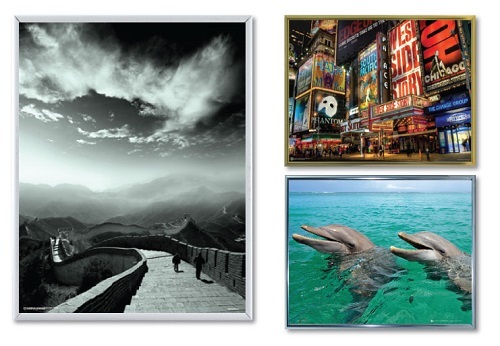 At Frameusa we have several white picture frames that would make any of your art or photos pop. 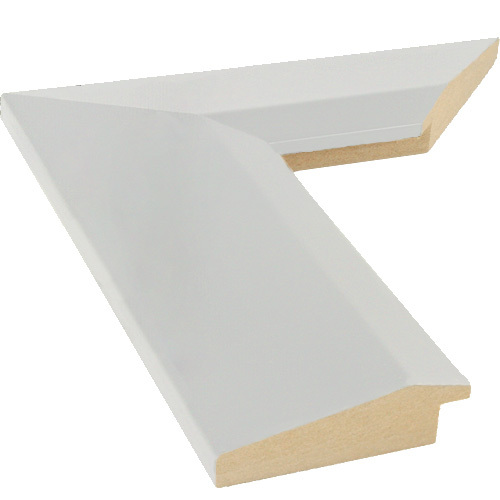 Our white driftwood has two different wide profiles, one with a scoop and one with an outer bevel. It has a sligtly weathered appearance to give it that natural feel. The Black and White series has a sleek profile with a simple angular bevel along the inside. It comes in black and white, but the white is what we think would help your decor feel cheery and modern. So as the weather warms and you want to let the sun shine on a room that feels like a day on vacation, consider using white picture frames to brighten up your home. We weren’t kidding when we mentioned that we were introducing a whole bunch of new products. Just the past two months alone we have introduced our Frame an Album, The Noble Series, and The Cambridge Series. With all these new product additions we sure could use a little R&R. What better location than to relax and have the stress melt away than a beach! Don’t go packing your bags just yet (although it really is tempting) you’ll miss the best part! Since most of us can’t actually escape to a private little island we thought we would at least bring on a frame that sets our dreams afloat. This series is what any great beach getaway consists of, clean lines, pearlescent white finish and a choose your own adventure game. So we may have fibbed on that last part, but with the Beach White series you do have the option of choosing between a narrow profile and a wide profile. 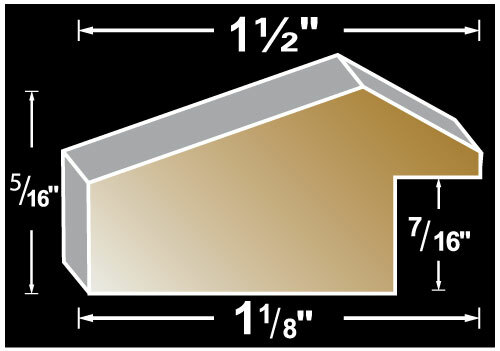 The narrow profile measures in at around 1 1/2″ wide where as the wide profile comes in at around 2 1/2″. Either route you choose will have you setting sail to your very own private island (without the outrageous price tag attached). 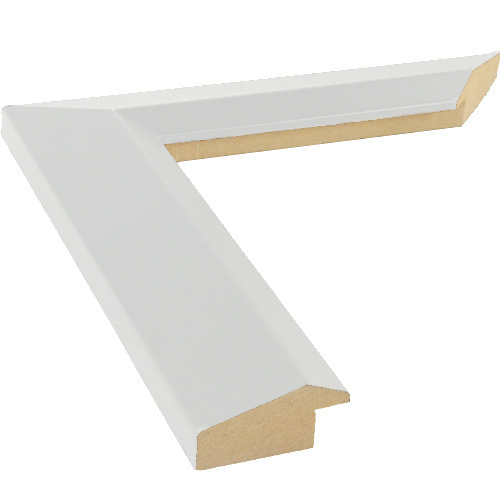 If you’re not too thrilled about having your friends mistake your home as a vacation home, don’t fret The Beach White series has a clean beveled edge that takes a modern relaxed twist on the typical beach style frame. 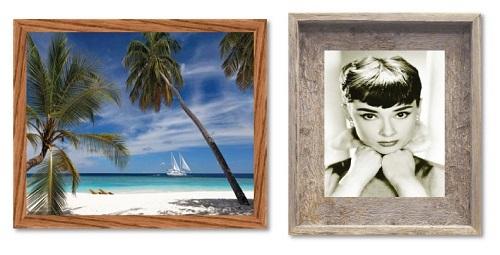 If you’re looking for a picture frame to add relaxation and warmth to a room then set sail to paradise with Frame USA’s Beach White Series Today! 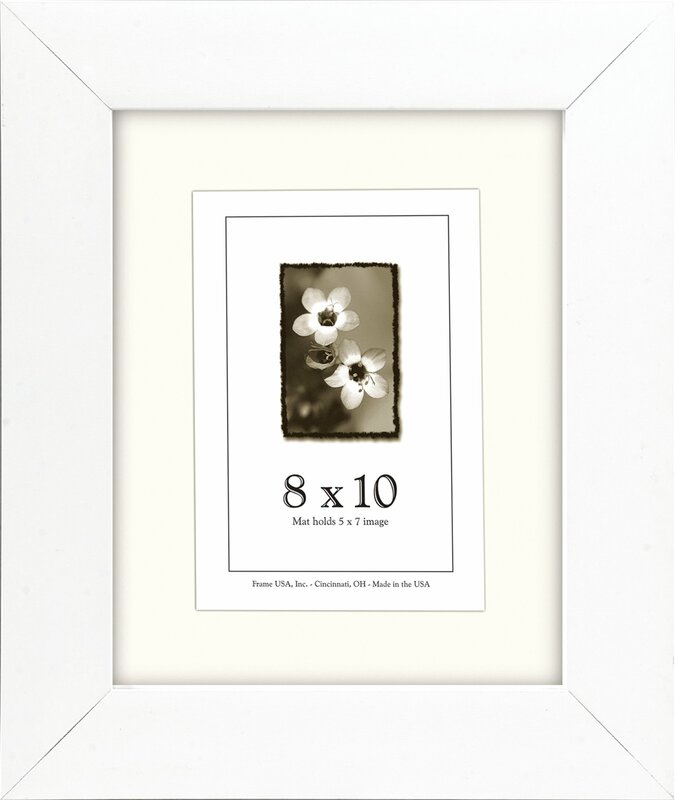 What do you think of when you think of white picture frames? 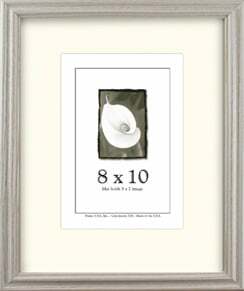 Do you immediately think Wedding Photos or do white frames remind you more of a newborn’s nursery? White is often associated with purity and innocence. 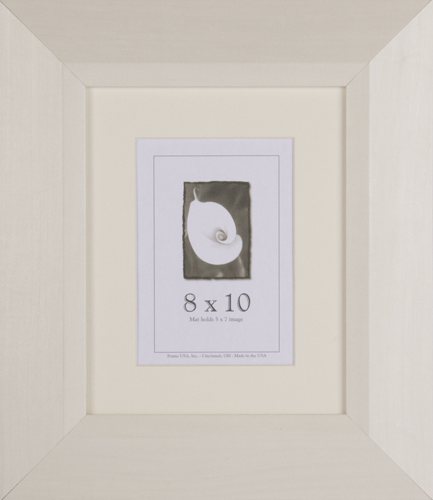 Let’s see what we can dig up for great ideas using white frames. 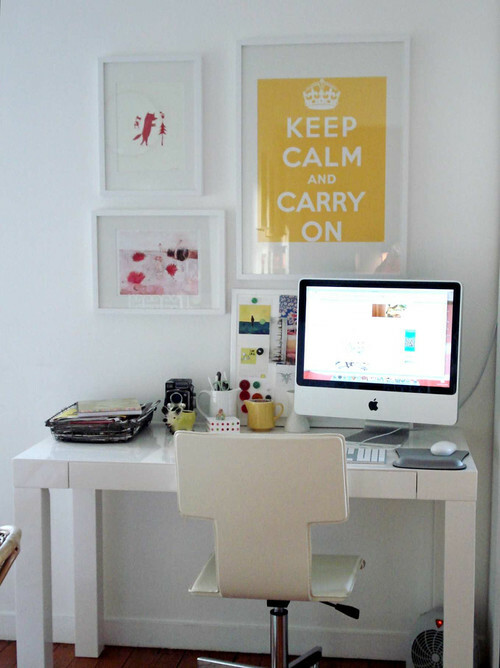 Over the years, we have seen a multitude of great ideas and uses for white frames. Some are DIY projects that use an existing frame as a base, while other folks start with a natural wood frame and paint the frames themselves. 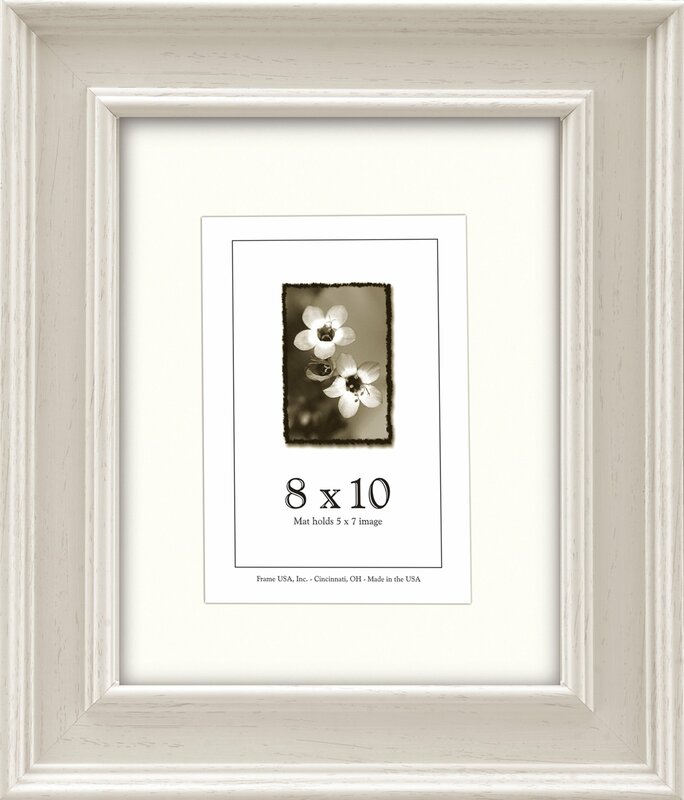 White frames have a grand history of use in both black & white or color photographs. They accentuate images without distracting from the original work that it frames. The white border tends to pull out the contrast of B&W and it really makes the color pop out of color photography. I favorite among gallery owners. No matter what colors may change in your home or office, white picture frames will always remain neutral while bringing out the best in your artwork. 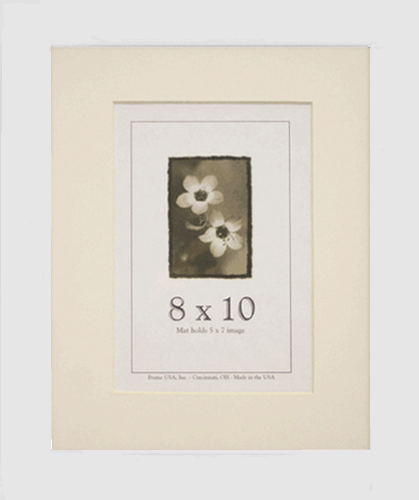 Make sure that you visit our online frame store to check out all of our latest picture frames. If you have any questions at all, please do not hesitate to give our customer service representatives a call at 1.800.577.5920. If you have any special requirements such as custom inserts, mats, shells, or laser engraving of your company logo, please fill out our custom frame contact form. Someone will be in contact with you within 8 hours.